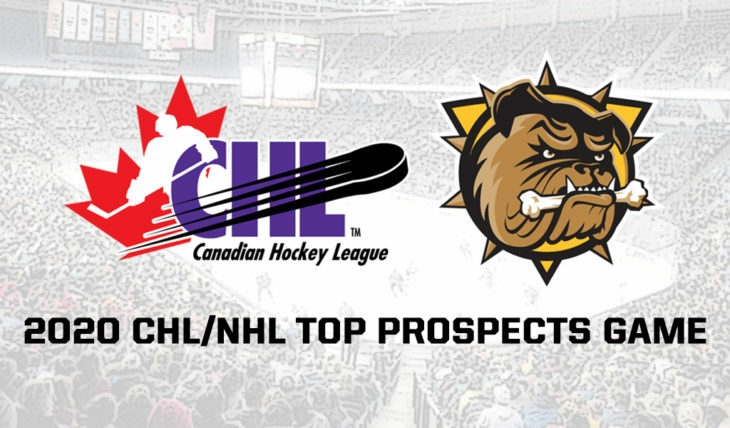 The Hamilton Bulldogs will host the 2020 CHL/NHL Top Prospects Game on Thursday January 16, 2020. 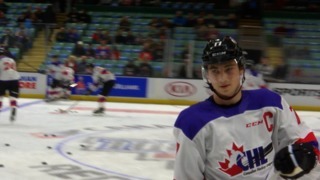 A look back at the most memorable moments and top performances from the 2019 Sherwin-Williams CHL/NHL Top Prospects Game in Red Deer. Volunteers helped revitalize a Red Deer seniors living facility as part of Sherwin-Williams' Paint the Community initiative. Sportsnet's #SWTP panel highlights Team Cherry's dominant line of Arthur Kaliyev, Peyton Krebs, and Nick Robertson. Sportsnet's R.J. Broadhead and Sam Cosentino discuss Team Orr's comeback victory at the 2019 Sherwin-Williams CHL/NHL Top Prospects Game. Team Orr's player of the game, Graeme Clarke, talks following his 1 goal, 1 assist performance. Team Cherry's player of the game, Peyton Krebs of the Kootenay ICE talks following his 1 goal, 1 assist performance. Team Orr's Kirby Dach and Josh Williams talk following the 2019 Sherwin-Williams CHL/NHL Top Prospects game. Team Orr's Connor McMichael and Phil Tomasino talk following their 5-4 win over Team Cherry in the 2019 Sherwin-Williams CHL/NHL Top Prospects Game. Team Cherry's Nick Robertson of the Peterborough and Arthur Kaliyev of the Hamilton Bulldogs talk following their 5-4 loss to Team Orr in the 2019 Sherwin-Williams CHL/NHL Top Prospects Game. Team Cherry's Matthew Robertson, Dylan Cozens, and Brent Sutter talk following the 2019 Sherwin-Williams CHL/NHL Top Prospects game. Images from the 2019 Sherwin-Williams CHL/NHL Top Prospects Game in Red Deer, Alta. 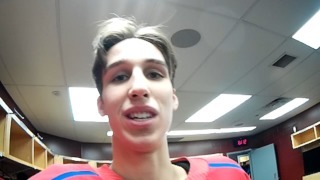 Lethbridge Hurricanes Dylan Cozens wore a helmet cam for the pre-game skate ahead of the 2019 Sherwin-Williams CHL/NHL Top Prospects game. 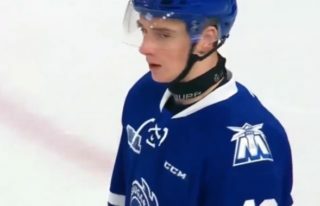 Kirby Dach of the Saskatoon Blades wore a helmet cam for the pre-game skate at the 2019 Sherwin-Williams CHL/NHL Top Prospects game. 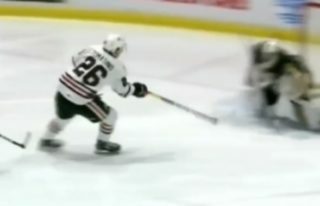 Smart offensive instincts make Philip Tomasino an impact player for the Niagara IceDogs and a top prospect for the 2019 NHL Draft. 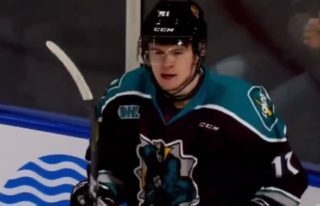 Connor McMichael improved from eight goals as an OHL rookie to 36 this season for the London Knights, developing into a skilled NHL draft prospect. 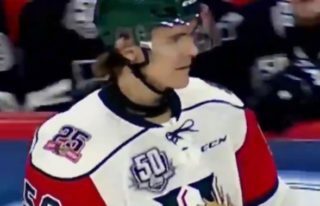 Raphael Lavoie looks poised to be the next in a long line of Halifax Mooseheads stars chosen in the first round of the NHL draft. The sky’s the limit for Thomas Harley, a smooth skating defenceman whose NHL draft stock continues to rise following a breakout season with Mississauga. 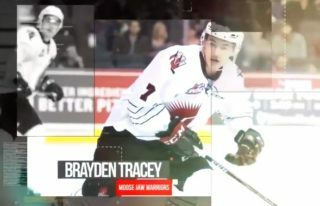 2019 NHL Draft prospect Brayden Tracey of the Moose Jaw Warriors has been lights out as a WHL rookie and leads all CHL freshmen in scoring. 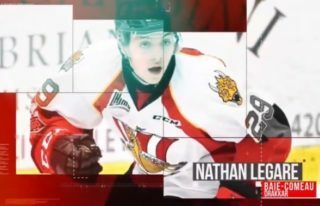 Nathan Legare of the Baie-Comeau Drakkar is a gritty power forward with one of the QMJHL’s deadliest shots. 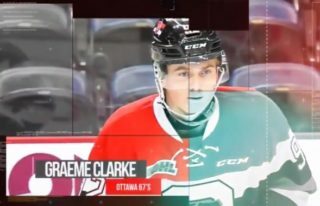 Human highlight reel Graeme Clarke has a knack for the net and is climbing the NHL Draft rankings with his hometown Ottawa 67's.